Sun conjoins Mercury and trines Mars and Rahu. Moon squares Jupiter. Mercury trines Mars and Rahu and squares Saturn. Rahu conjoins Mars. Ketu opposite Mars and sextiles Mercury and Sun.Venus opposite Jupiter and sextiles Saturn. 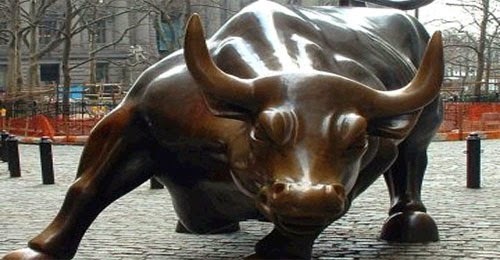 Bulls will rule the day with buying in healthcare, cements, infra, and automobile companies. Persons having Leo and Aries Moon signs/Lagna (ascendant) will be financially affected today. They should refrain from money matters today.